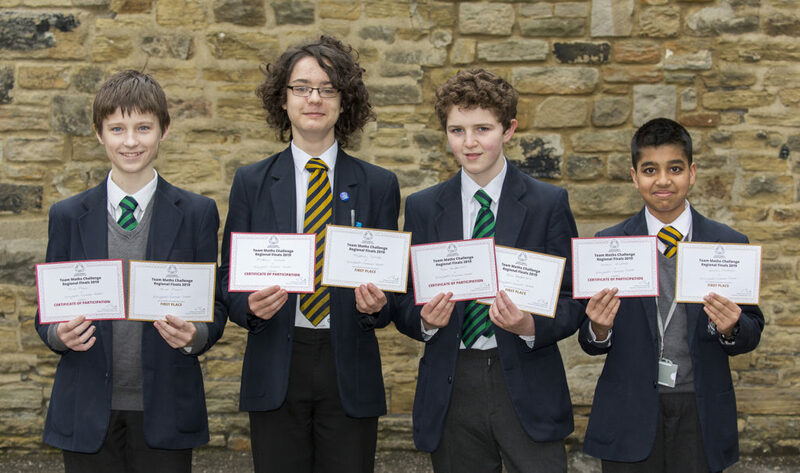 On Monday, 18 March two Year 8s and two Year 9s went to Bradford Grammar School to compete in the UKMT junior team challenge regional final. Throughout the day the pupils had to complete four different maths-based activities working both as a team and in pairs. For the second year running, we finished in first place beating over 30 schools from the surrounding area. 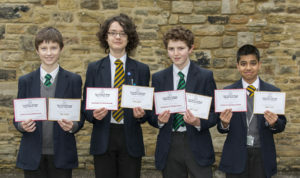 This win means the team has qualified for the national final in London on Monday, 17 June and will be one of only 88 schools from across the country competing there. Well done to Matthew, Tom, Oliver and Ammar for a fantastic performance.